Q: If I've grown a kombucha SCOBY or brewed kombucha using unpasteurized vinegar as a starter, do I have a kombucha SCOBY or a mother of vinegar? 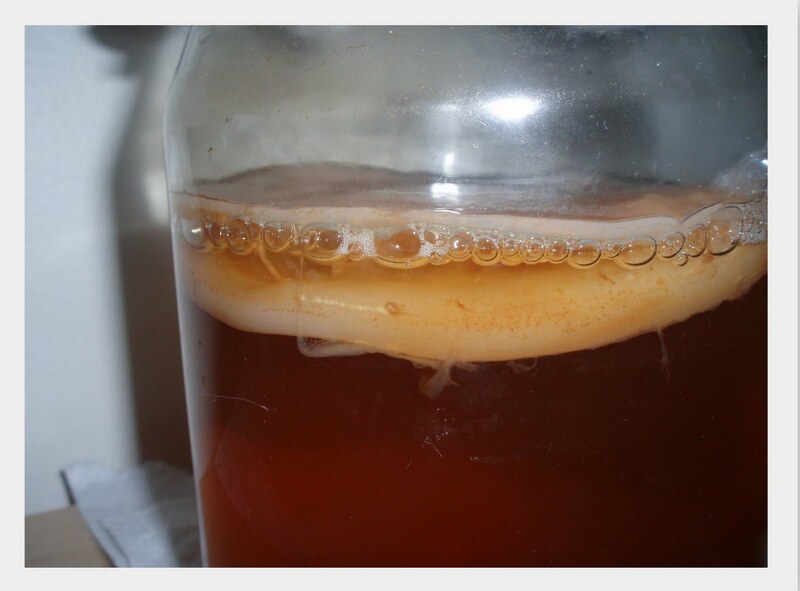 A: Today's post is dedicated to kombucha SCOBYs and mothers of vinegar (MOVs). Because of their similar appearance and function, sometimes one can be confused for the other. And if you've grown a kombucha SCOBY or brewed kombucha using unpasteurized vinegar as a starter, do you have a kombucha SCOBY or a MOV? The goal of this post is to address this question and to clear up some of the confusion behind the similarities and differences between these two cultures. Kombucha SCOBYs are used to ferment a sweet tea solution to make kombucha, and the term "SCOBY" stands for symbiotic culture of bacteria and yeasts. The exact composition of a kombucha SCOBY varies, but here is a sample analysis of a kombucha ferment and a certified analysis of a Happy Herbalist kombucha mushroom. According to Happy Herbalist, the three universal elements in all kombucha mushroom strains are gluconic acid, acetic acid, and fructose. Meanwhile, mother of vinegars (MOVs) are used to produce vinegar. MOVs are cellulose substances made of strains of Acetobacter (1, 2) and bacteria that produce acetic acid. 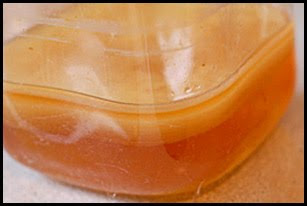 The similar appearance of Kombucha SCOBYs and MOVs are due to the presence of Acetobacter strains, which synthesize the cellulose structure of both organisms. According to Happy Herbalist, the difference between kombucha and vinegar is that kombucha has gluconic acid, while vinegar does not. In addition, according to a study cited in the Cornell study, Acetobacter xylinum converts glucose to gluconic acid in kombucha. In kombucha, glucose commonly comes from sucrose (such as table sugar or evaporated cane juice), which is made up of glucose and fructose. From my research on the internet, it appears that Acetobacter xylinum is a strain that can also be found in MOVs. Additionally, I believe that some vinegars (such as apple cider vinegar) do not contain glucose or gluconic acid because they are made of fruit sugars, which are purely fructose. Traditionally, if you are brewing kombucha for the first time, and you only have a kombucha SCOBY and no starter tea for your brew, one recommendation is to add a little bit of distilled white vinegar to the brew to help bring the pH down. This can help to prevent spoilage microorganisms from growing in the brew, while encouraging the kombucha strains to proliferate. It is traditionally not recommended to introduce unpasteurized or raw vinegars to your kombucha, which could encourage the vinegar strains and produce a mother of vinegar (3, 4). Some people are concerned that their kombucha SCOBYs may be MOVs if they used raw unpasteurized vinegar as a starter to grow a kombucha SCOBY or to brew kombucha. First off, I would like to say that I am not a vinegar or MOV expert. However, I believe that even if you grow a kombucha SCOBY using the same method that I used to grow a kombucha mother (except for using raw vinegar as a starter instead of kombucha), and if you are feeding the culture glucose, fructose, and tea, and brewing as how you would traditionally brew kombucha, you should be getting benefits from the beneficial acids produced in the brewing process. Just like kombucha, there are health benefits associated with the consumption of unpasteurized vinegars. My hypothesis is that feeding such a culture grown from raw vinegar could still create a SCOBY, because it seems that there are some similar strains in kombucha SCOBYs and MOVs, and natural yeasts and bacteria in the air would be incorporated in the culture to create a SCOBY, as well. I have tried someone's kombucha before, which was brewed from a kombucha SCOBY originally grown from raw apple cider vinegar, and the kombucha tasted similar enough to me that I would have called it kombucha. It appears that what truly defines what is kombucha (or if you might not have kombucha) depends on your definition. Again, according to Happy Herbalist, the difference between kombucha and vinegar is that kombucha has gluconic acid, while vinegar does not. Meanwhile, according to the Steve Dickman, the co-founder of High Country Kombucha, what makes their kombucha "authentic" is the presence of the strain Z. Kombuchaensis in their brew (see this video, at around time 1:00). Similar to yogurt, kombucha strains vary considerably, depending on the environment the kombucha is brewed in (because there are different yeasts and bacteria in the air), the ingredients used, and more. For example, High Country Kombucha lists Gluconacetobacter Obediens, Dekkera Anomala, Dekkera Bruxellensis, and Z. Kombuchaensis on their bottle as probiotics present in their kombucha. Meanwhile, GT's Kombucha bottle lists Lactobacillus bacterium and S. Boulardii as probiotics and glucuronic acid, lactic acid, and acetic acid as organic acids present in their kombucha. Unless you have a kombucha company or if you are an individual looking for specific benefits related to specific strains and specific acids in kombucha, most people will still benefit from the beneficial acids produced in kombucha even without knowing the exact strains that the brew contains, and whether the kombucha was brewed from a batch made with raw vinegar or kombucha as a starter. Ideally, if you can get a kombucha SCOBY and kombucha as starter tea when you begin to brew, I would use that. If you only have one or the other, and if you want to be more assured of making purely kombucha strains, I wouldn't add unpasteurized vinegars. But, I wouldn't rule out using unpasteurized vinegar as a starter for your first brew, if you can't get access to raw kombucha as a starter. In addition, you will only need vinegar for the first time that you brew, because after your first batch, you will be using the kombucha from your last batch as starter tea. However, what you choose to use will depend on your situation and what you would like to incorporate in your kombucha. The only way to be truly assured of exactly what is in your kombucha is to get your kombucha and SCOBY tested in a lab. And I do admit, I would be very interested in testing my home-brewed kombucha to find out exactly what is in there! However, although there are specific health benefits associated with specific strains of probiotics, I believe that most people can benefit from the live cultures present in kombucha, whether they know exactly which strains are in it or not. This is my understanding of kombucha SCOBYs and MOVs at the moment. If anyone has any additional comments, thoughts, or knowledge on the matter, please share! P.S. If you are interested in learning more about vinegar and how to make wine vinegar, I really enjoyed this thorough blog post and photos. wow - yes, I am wondering about the various cultures - kombucha, MOV, wine, red wine, Kim Chee and all. I am wondering if they are all complimentary, or not? Anyone have any thoughts? Oh! ...and Kefir. Somehow, I think kefir has a secret symbiotic quality underexplored. @InvisiGyrl- Thanks for the comments! Different cultures, such as ones that you mentioned, are similar in that they rely on strains of bacteria and yeast to ferment. What may differ between them, though, is the particular strains of bacteria and yeast that they rely on and the health benefits that each ferment has, which will differ in part because of the strains of bacteria and yeast used to produce them. Kefir, like kombucha, is also made with symbiotic cultures of bacteria and yeast, however they are of different strains and appearance than kombucha, and they are also known as "kefir grains" because of their appearance. Happy Herbalist has a little info on kefir http://www.happyherbalist.com/kefir.htm. Thank you for another great source of information. Do you know of any labs to send kombucha batches for testing? If so, can you send any info our way!? That's a very good question about where to send kombucha batches for testing! I do not know of any sources right now, but I will definitely let you and others know if I find something out! How do the makers of Kombucha, make kombucha? It all has to start somewhere. Lets get back to basics. To make vinegar, you start with apples. How do you start Kombucha from scratch? Where do you find the bacterial strains for Kombucha in nature? If the culture is affected by what it is fed, will adding sugar to a culture that would become a MOV, make it become Kombucha instead? You know what they say about bacteria... It's the only culture some people have :-) . Thanks a stack! This has cleared up a lot for me. Now over to some brewing. My friend gave me a Scoby and I used 1/4 cup of unpasteurized apple cider vinager (per another Kombucha blog) to start my own batch... is that ok?? And my main question is that I had the lid of my jar on (not tightly) for a couple of days, with the towel over it... is that ok? My friend said no lid, only towel. Did I mess it up? While the kombucha is brewing, you want it covered with a breathable cloth, secured well with a rubber band or something else, to ensure that fruit flies and other bugs or contaminants don't get in. There should be oxygen flow, so avoid a solid lid. Examples of things that you can use are coffee filters, paper towels, or a thin cloth. I tend to avoid cheesecloth though, because fruit flies can sometimes get in through the holes. Hi I am using a scoby and I want to make vinegar. I want to use wine to add to the scoby to make the vinegar. Is this possible and if yes how do you do it?Thanks! That's a great question, and I actually have not tried that before. You could try the instructions on this blog post for making wine vinegar, substituting the mother of vinegar with your SCOBY: http://holybasil.wordpress.com/2008/01/26/word-to-your-mother. Good luck and let us know what happens! Hi, I'm new to brewing kombucha. I don't have a SCOBY. I just made apple cider vinegar from peelings, so I have the MOV. I want to know if I can make kombucha using the MOV, possibly using more sugar and tea than usual? Do you know of anyone who's tried that? Thank you for your help! Hi, I have a friend who gave me a scoby but she used GMO beet sugar; I don't feel comfortable using it. I understand that the sugar is gone but wouldn't the GMO pesticide dna remain? I think that is probably the case, although I cannot say for certain. If you don't feel comfortable using the SCOBY, don't! I have not heard of anyone who has tried brewing kombucha specifically using a MOV. However, in Sandor Katz's book "The Art of Fermentation," he notes that "Many people have observed that the kombucha SCOBY is identical, or virtually so, to the mother-of-vinegar that often forms on the surface of fermenting vinegar." So I think that it is definitely worth a try, using a kombucha brewing recipe and substituting a MOV for a kombucha SCOBY. You could also cut the MOV in half, if you don't want to sacrifice the whole MOV. Let us know if you try it and how it goes, or how it went if you tried it already!